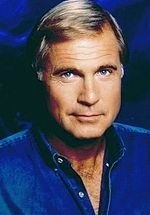 Gilbert Vincent Gerard, better known as Gil Gerard is most famous for his role as Captain William ‘Buck’ Rogers in the 1979-1981 television series Buck Rogers in the 25th Century. He was married to Connie Sellecca (1979-1987) and they have a son, Gilbert 'Gib' Vincent Gerard’ born in 1981. Gerard also has a daughter. When Gerard arrived on the Love Story set, he was hired as an extra. Later that day, he was singled out for a bit role which eventually wound up on the cutting room floor, but he now had his first professional credit. During the next few years, he did most of his acting in some 400 television commercials, including a stint as spokesman for the Ford Motor Company. Then came a leading role in the daytime TV series The Doctors. Gerard formed his own production company in partnership with a writer-producer, co-authored a screenplay called Hooch, and filmed it as a starring vehicle for himself. With Hooch completed, he was summoned to California to co-star with Yvette Mimieux in Ransom for Alice! and to play Lee Grant's youthful lover in Universal's Airport '77. A guest shot in Little House on the Prairie impressed producer-star Michael Landon, who cast him in the leading role in an ambitious TV movie of the week, Killing Stone. 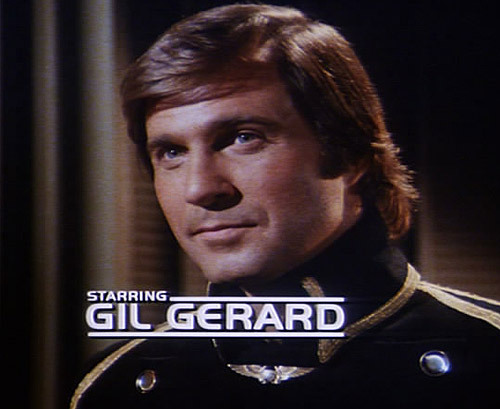 After Buck Rogers, Gerard was featured in a number of other TV shows and movies, including starring roles in the series Sidekicks and E.A.R.T.H. Force. Gerard is an avid golfer, and has played in several celebrity golf tournaments. He is an active supporter of the Special Olympics, and takes part in other children's causes. He continues to produce, acting only occasionally.